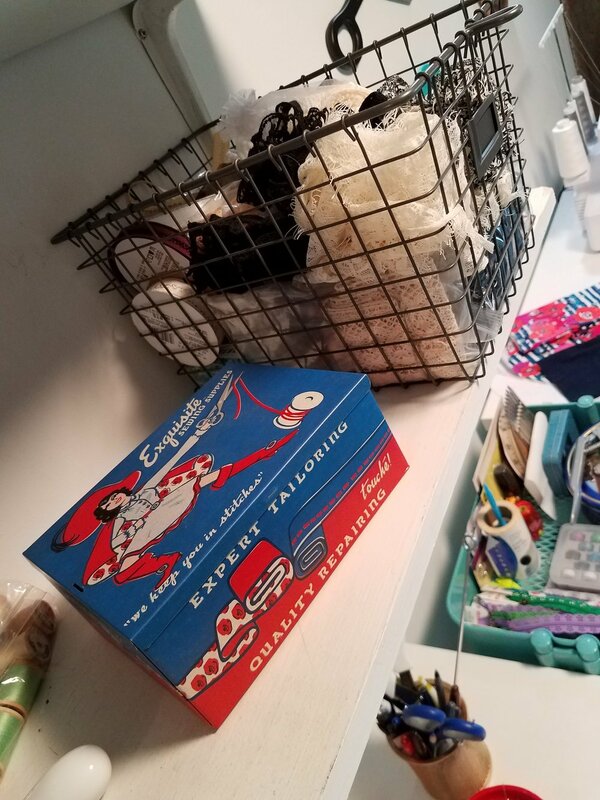 When the opportunity to get to work with some luscious and otherwise rather elusive fabrics presented itself, I had to pinch myself. Is this real? 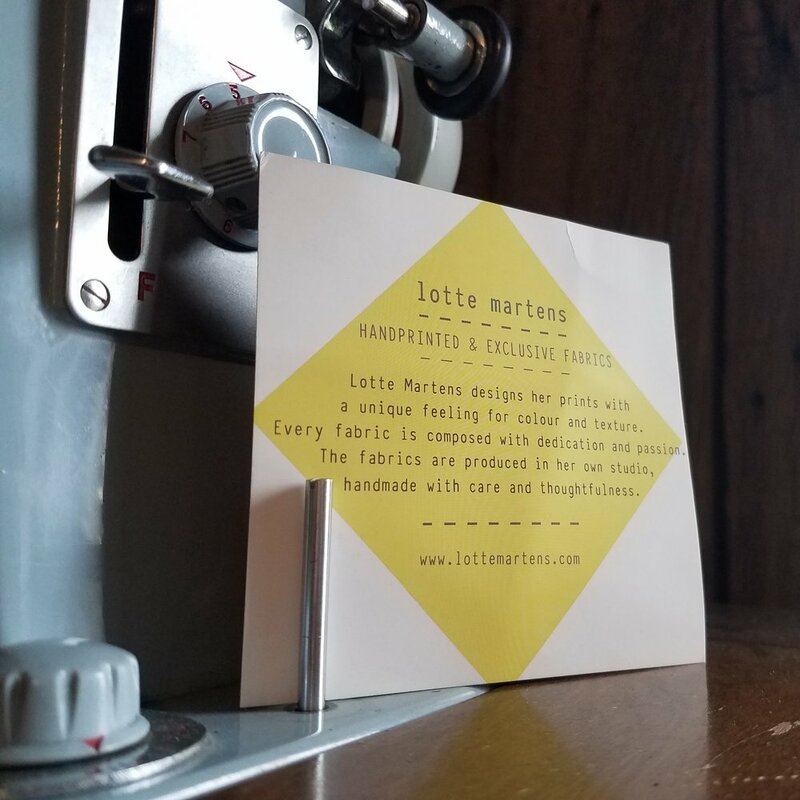 Lotte Martens wanted me to participate in a blog tour for their textiles and they would send me the materials. It seemed too good to be true. Well, of course, you're reading this because I accepted that offer and now I can finally share a couple of incredible projects. 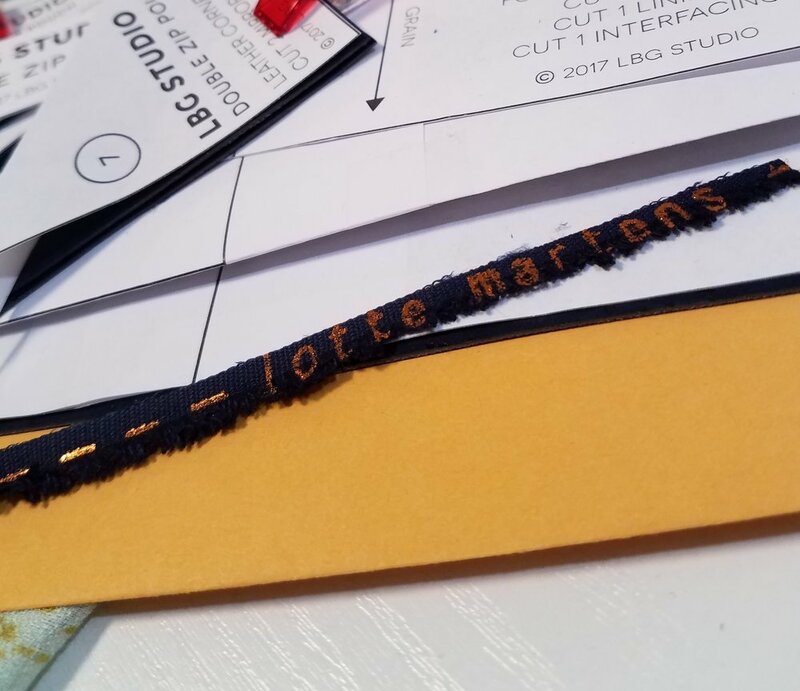 If you're in the US like me, you may not have heard of Lotte Martens. 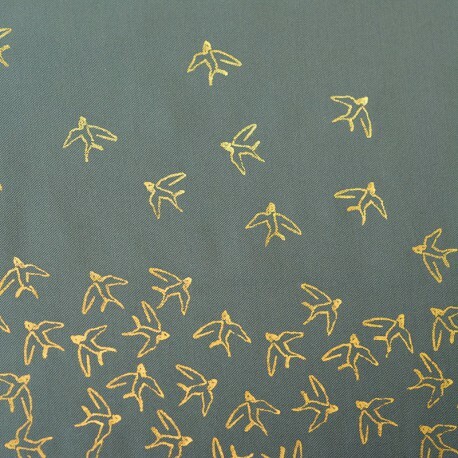 It's a small Belgium-based design and textile printing operation with a heart of gold. Their site explains, "No pre-bought prints, no child labour in foreign countries: every step in the production process, from the first design to the final touch, is completed with the greatest care... Because our fabrics are printed by hand, they are all slightly different and thus unique." More about Lotte and the team here. And If you're lucky enough to live in or visit Europe, you can find Lotte Martens in these stores. And I used essentially every bit of it. I'm serious when I say I've never been so careful about my cutting layout. Usually I throw most of what little caution I have to the wind. But handling such luxurious fabric calls for quite a bit more prudence. Only this little scrap of selvage was left when I was done cutting. 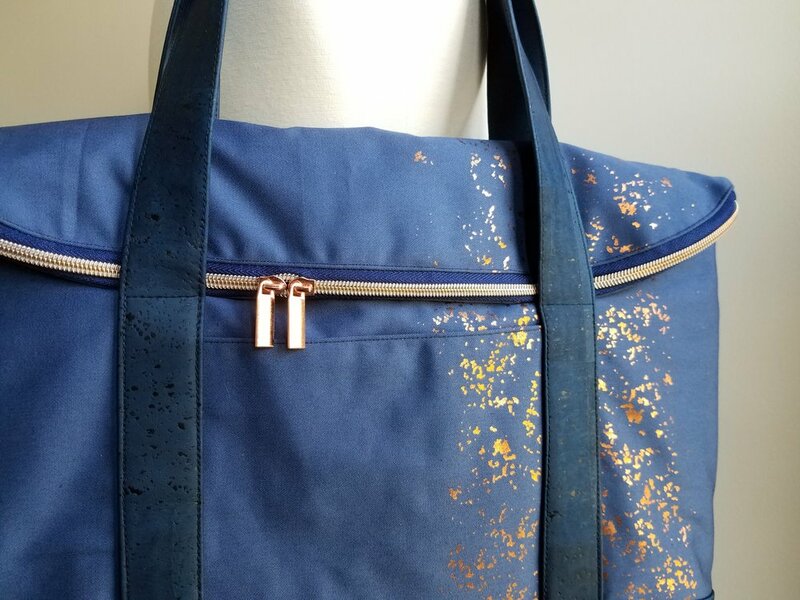 The Cypris became a zippered, fold-over tote (Senna Tote by LBG Studio), with navy cork for the bottom and handles. 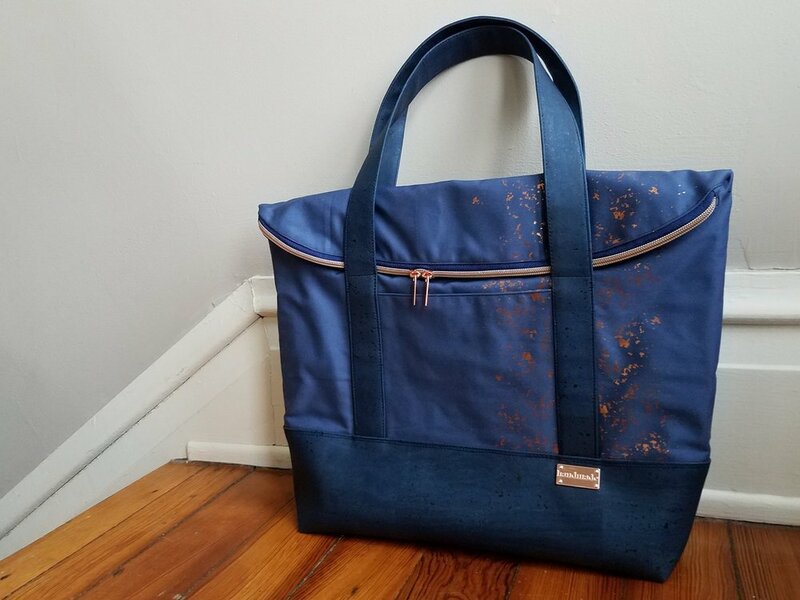 This bag was a first for me on a couple accounts- first time sewing this specific bag pattern and my first time working with cork. Fabulous experience all around! The bag has an interlining of canvas which gives it just enough body to stand on its own. I had just enough Cypris to make a matching zippered pouch, (The Double Zip Pouch by LBG Studio). 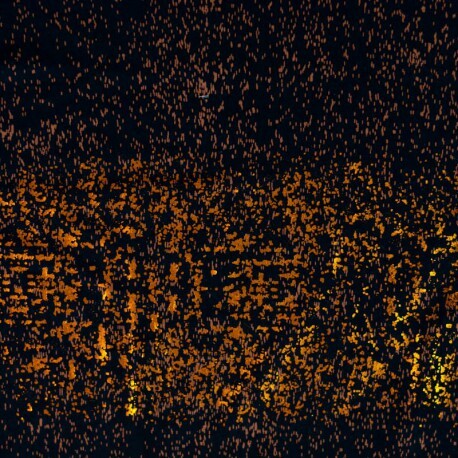 I participated in testing for this pattern. More in a previous post, here. It's a stunning set, if I don't say so myself. Stop for a moment and draw your attention from the fabric and focus on the hardware. 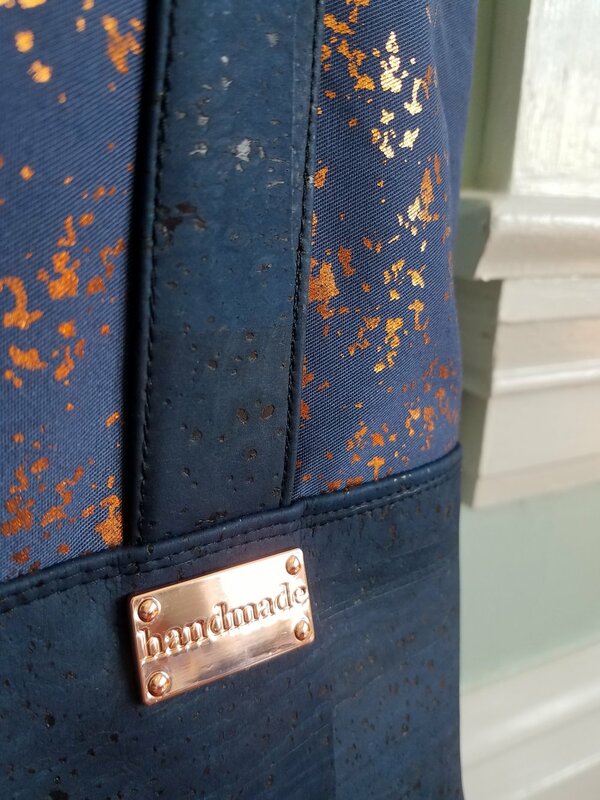 Truth be told, I was going to use an antique gold zipper I had in my stash for this bag. Well, my sewing buddy and google wiz friend, Gwyn wouldn't have it. 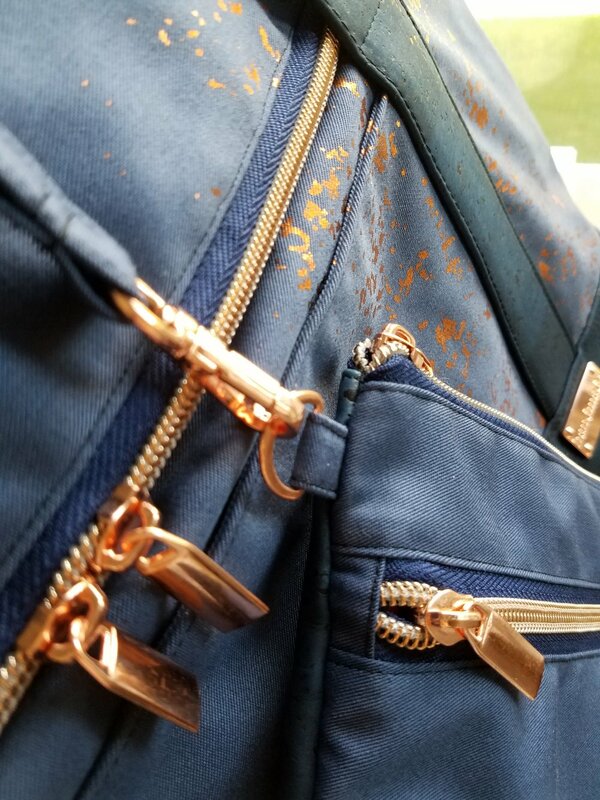 She found the perfect copper zipper and coordinating hardware on the Sallie Tomato site. She's clever, that gal, and she was so right to nag me about getting the right hardware. Even the magnetic snaps are copper to complement the Cypris! Ok. Let's get back to drooling over the fabric. I also received 1 meter of Grus crepe. I used the Coram Top pattern here. While Coram is designed to be sewn with all woven material, I didn't quite have enough of the Grus for that. Instead of resigning to use a different pattern, I found something in my stash to coordinate with the Grus. This Art Gallery knit became the sleeves and neckband. The gold in it matches the gold in the pale mint Grus so incredibly well, don't you think? 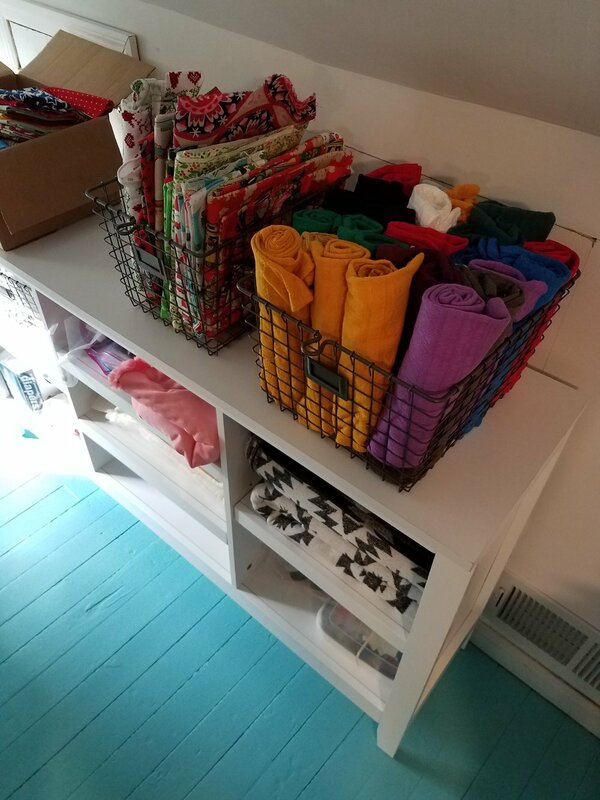 After working with these fabrics, I can't stop dreaming about getting more to work with. I'm hoping as Lotte Martens expands we'll get a fabric shop (read: enabler) in the US to carry these unique and stunning textiles. So, thanks for stopping by! I love it when my readers leave comments or ask questions, so please do so if you feel inclined. Just head back up to the top of the post so your remarks get added to this post and not the one below. It's backwards, I know! Thanks again, Lotte Martens, for inviting me to participate in your intenational tour.